1. Log in to your Blogger account and click the "Posting" tab, like you would if you were going to write a new post. 4. Enter the title of your page and the info you want included on your page in the areas provided. Then click "Publish Page." Please note, you can create up to 10 pages. 5. 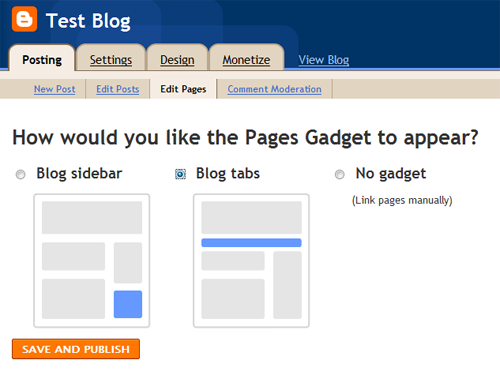 Now you need to decide where you'd like your pages to be displayed. Would you like them along the top, below your header or as a sidebar element? 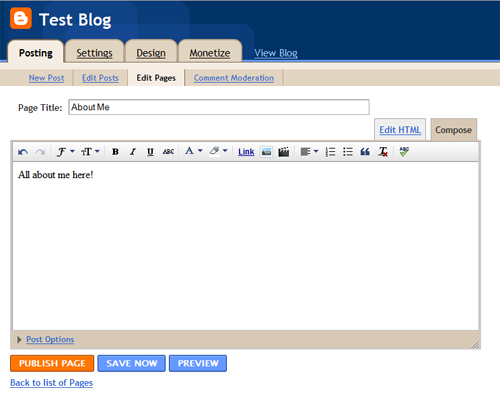 You can also chose to have no gadget and link your pages manually to a custom menu bar. Once you've decided click "Save and Publish." That's it! 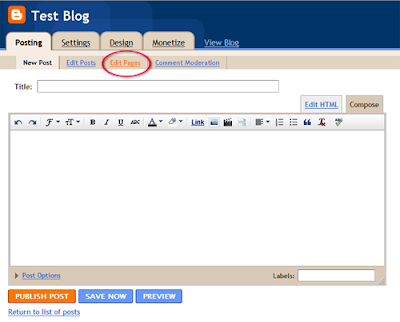 Now view your blog and check out your fancy new pages? You do NOT need to create a "Home" page. 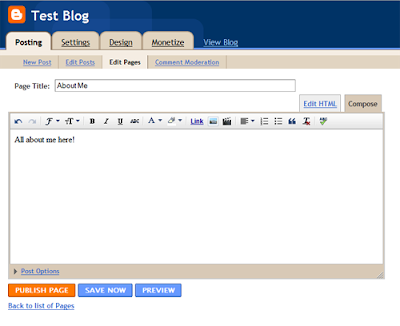 Blogger will create that automatically. Please feel free to email us at info@designerblogs.com with any questions you may have or with ideas for future tutorials!! I love your tutorials! I'm a newbie and I'm wondering is there a way to put post dividers INSIDE the pages? I know the main page does it automatically but the pages it seems as one very long post...can I change that?